Where would I find vacancies for the San Francisco Dungeon and other Merlin Entertainment Attractions? 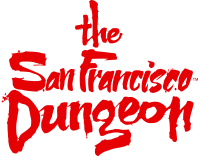 Do you offer work experience placements at the San Francisco Dungeon? For a full list of vacancies for the San Francisco Dungeon and all other Merlin Entertainments attractions, please click on the link HERE. Can I purchase a Merlin Annual Pass from the San Francisco Dungeon?